This petition has been created by Peter F. and may not represent the views of the Avaaz community. Some world simulations project global ecological breakdown with drastic population decrease in 50-60 years if nothing is done. Warming is extremely likely to convert many important agricultural areas to deserts and flood low lying countries. A quick increase of renewable energy such as sun and wind power is our main hope to stop the increasing global warming and CO2 emissions which is threatening our societies future survival. However, the European Union according to a preliminary decision May 8, 2013 (proposed by trade commissioner Karel de Gucht) EU should put more than 40% import duty on Chinese solar electricity generating panels (PV, Photovoltaics) after June 5, 2013. This is against the EU goals of reduced CO2 emission and increased environmental protection. The import duty would be a serious blow against the EU clean energy efforts with increasing solar power renewable energy installations in Europe. Since Chinese PV has about 80% of the PV market in EU, a 40% cost increase would effectively stop most current PV installation projects, and thus stop many private initiatives to eliminate dirty coal and oil energy causing CO2 emissions. Moreover, there would be a dramatic loss of jobs in the European PV installation and maintenance industry, which typically has a factor 4 more employment per value compared to the few jobs possibly created in European PV manufacturing by import duty. More than 1000 European companies has signed to stop the import duty proposal. We are getting closer and closer to a global tipping point concerning global warming. 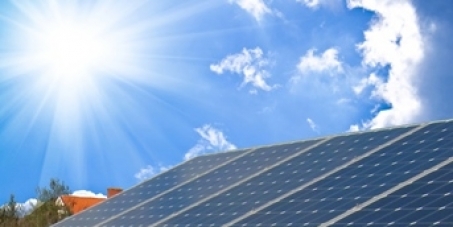 Sign petition to STOP THE EU ATTACK ON CLEAN SOLAR POWER.